What? It's Thursday already? These holiday weeks mess me up! Well if it's Thursday, that means it's time to share a fun new die release from Crafter's Companion. They are Die'sire Edge'Ables and the die I used today is called Anniversary! 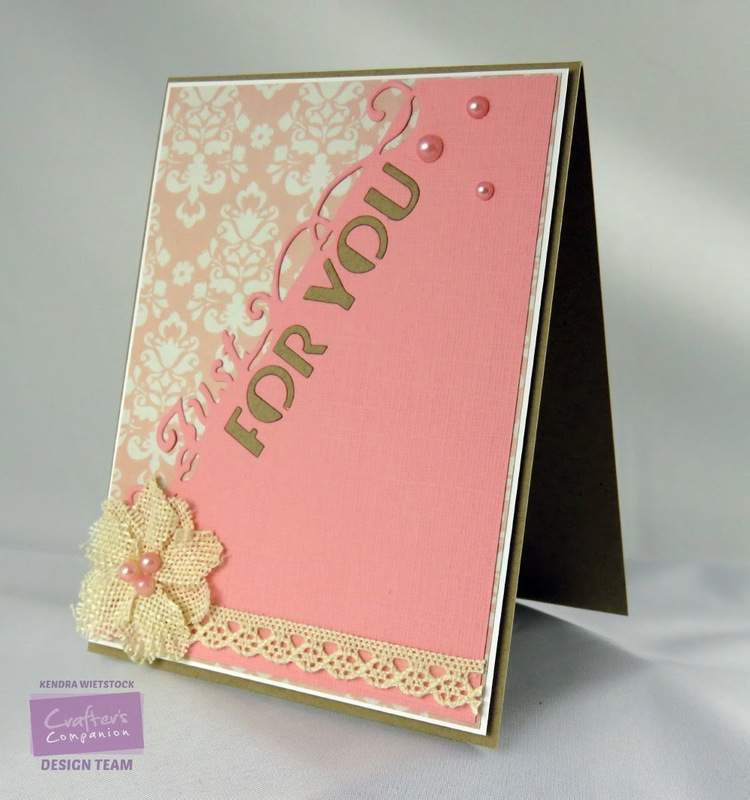 Such a fun way to add a little extra to your card or make a super easy card. These pretty dies will be up on the store website later this morning. Hello Friends! Today I am sharing a set of fun graduation cards for Taylored Expressions inspired by a card set on the Taylored Expressions Pinterest Boards. Having a senior graduating this year has increased my need for cards this season about 1000%.... so when I saw the fun thank you cards made by Jami Sibley on the TE Pinterest Boards, I knew right away what I wanted to do. I used the Graphic Greetings Graduate stamp, the Grad Cap Die, and the Small Scallop Border on all of the cards and then just mixed and matched the greens from Rainbow Bright 6x6 Patterned Paper Pack and used various die cut stacklets for my sentiments. Easy Peasy! Here is the card set made by Jami Sibley that I used as my inspiration. Hi Friends! Hope you had a fabulous holiday weekend! 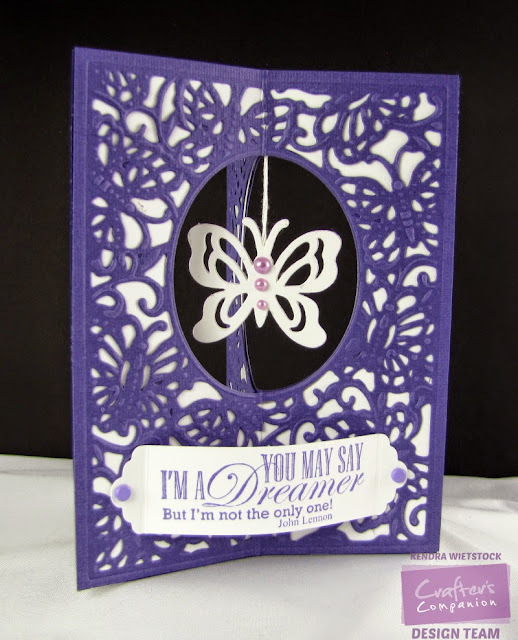 Today I'm here to share a fun sneak peek of some new dies coming out later this week from Crafter's Companion. They are Die'sire Edge'Ables and the die I used today is called Just for You! Such a fun way to add a little extra to your card or make a super easy card. Hi Friends! 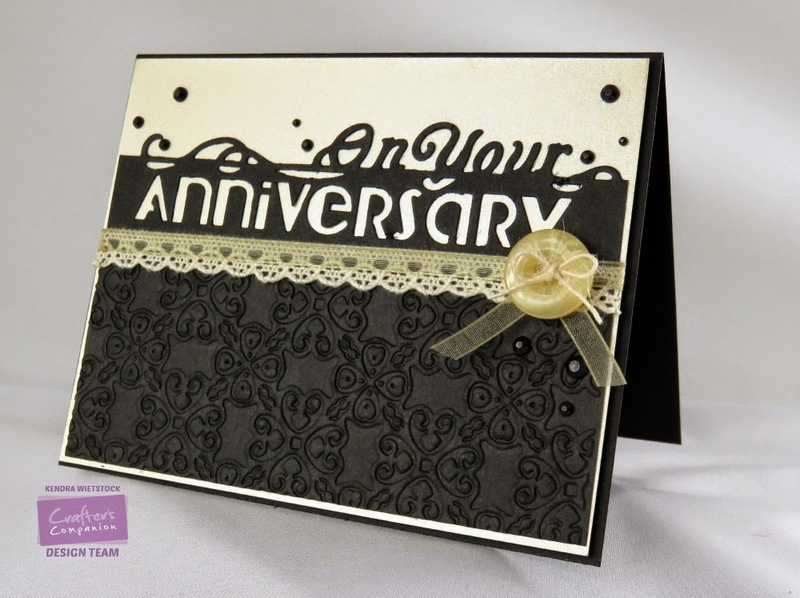 Up for a quick and easy tutorial for Gina K Designs & Spectrum Noir? 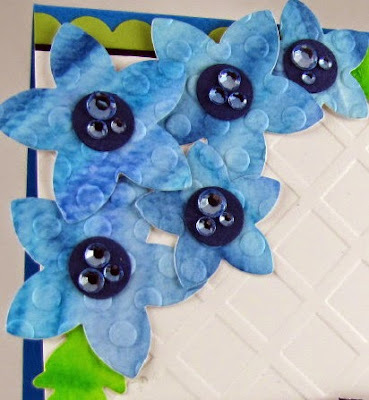 Here's an easy way to put some POP on a card with just TWO MARKERS! I used the new Stamp TV Kit called Flowers & Frames along with the TB1 and TB3 Spectrum Noir Markers. NOTE: This wildly popular kit is currently out of stock, but don't worry, it will be available very soon! Step 1: Stamp both sizes of five-petal flowers with white pigment ink and heat emboss them with either clear or white embossing powder. Trim them with the coordinating dies in the kit. Step 2: On the small flower, color each petal with the Spectrum Noir Marker TB1. Step 2: Add accents to each petal with the TB3 Spectrum Noir Marker. Step 3: Using the TB1 Marker, go over the entire petal again to blend the colors. Step 4: Repeat the same steps on the larger flower. This time I colored each petal separately since the flower is slightly larger because I wanted to make sure the ink stayed wet to make blending easier. 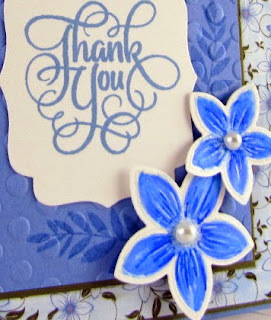 Step 5: To change the color of the background on this gorgeous paper from the Stamp TV Kit, I used the chisel tip on the TB1 Marker to transform it from white to blue so it would match the Powder Blue cardstock that comes with the kit. Here's a close up of my flowers and patterned paper transformation. Hey There Friends! Today I'm using the Taylored Expressions Pegboard Die for my die focus project and decided to use it a bit differently on my Pockets & Pages layout. I trimmed the die using TE Premium Cardstock in Toffee and then added the Cherry Pop hearts from the Little Bits - Love Confetti die. I attached the hearts in a heart pattern ~ I think it turned out super sweet. I also used the Pegboard Die to emboss the long panel on the left side. I thought the texture it added was fun. Hi Peeps! Hope you had a great weekend! 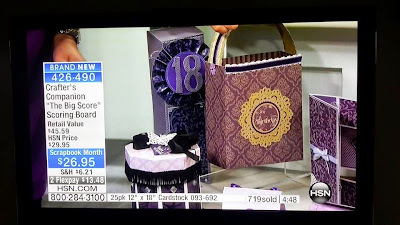 I've been crazy busy preparing for my daughter's graduation, but wanted to pop in today to share another project I made for the HSN segments that Sara Davies presented last week. It was super fun to see my work on TV. 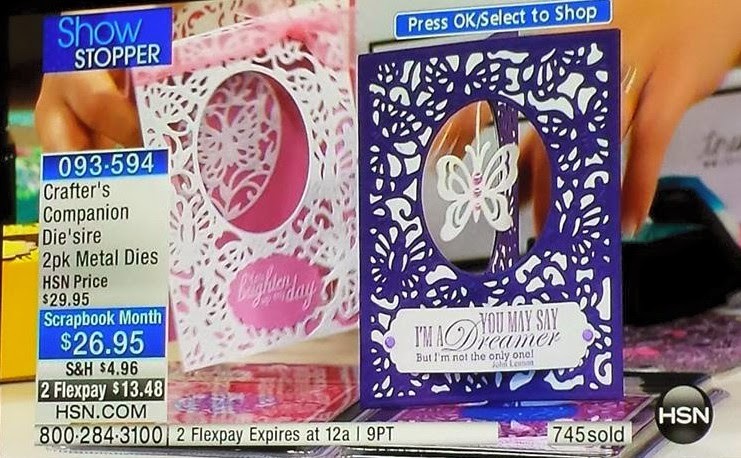 This card is a pop out tri-fold card the Create-A-Card Kaleidoscope of Butterflies die. I used the extra center piece on the front of the card. Step 1: Gather supplies - watercolor paper, Spectrum Aqua Markers (Navy, Teal, Peacock Blue) and a waterbrush. Add some Spectrum Aqua colors to a palette and paint color on to the watercolor paper. Step 2: Once the entire sheet is colored, add color here here and there to fill in any spots until you have the desired look. Step 4: Using Spectrum Aqua Markers Sea Green and Bud Green, add colors to a piece of watercolor paper and trim with the leaf die. Here is a close up of the finished flowers. Enjoy your day & thanks for stopping by! Hi Everyone! 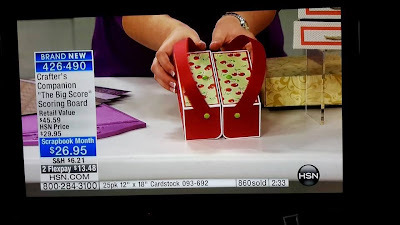 Today I'm sharing another project I made for the HSN segments that Sara Davies presented on Monday. It was super fun to see my work on TV. This card is a tri-fold card where you use 3 die cut images, score them down the middle and glue them together. I used the Create-A-Card Kaleidoscope of Butterflies die on my card. 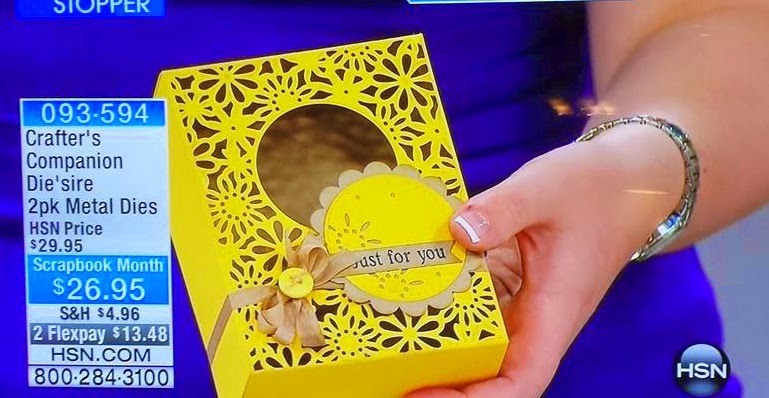 For this card you need to use a die where the center will line up perfectly with the other side. 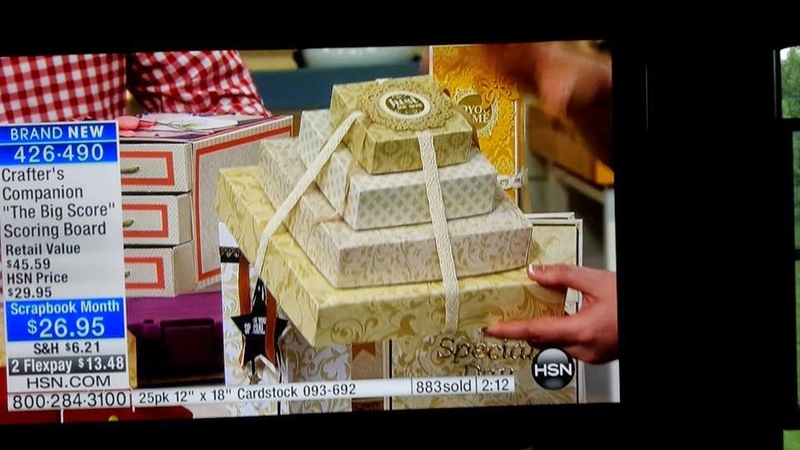 Crafter's Companion on HSN today! 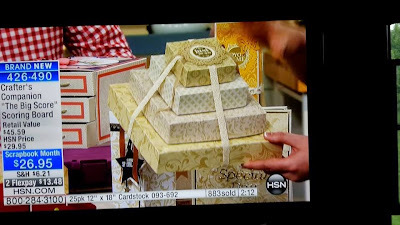 Crafter's Companion on HSN.... YIPEE!